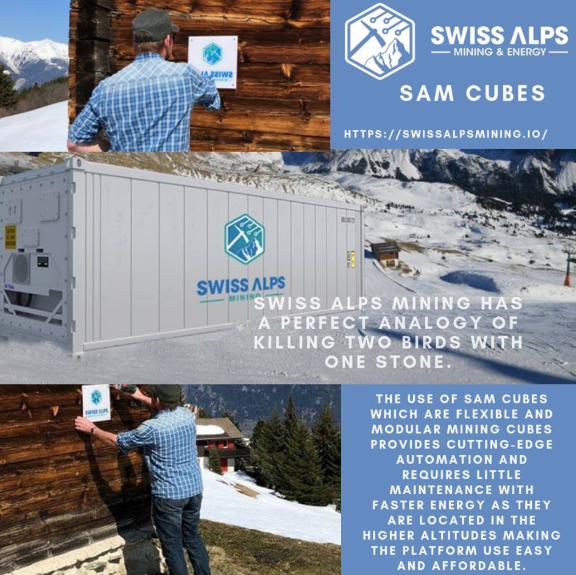 Swiss Alps Energy– the most profitable mining! Today I want to introduce you to such a campaign as Swiss Alps Energy. The technology of the blockchain is widely and loudly entered our world today. I have not heard of her now only a truly lazy person. Accordingly, everyone knows that the world of cryptocurrency and blockchain is provided by such a process as mining. Actually, a huge amount of energy resources goes to its provision, as well as the living space that could be used for completely different purposes. These problems can be solved by placing miners away from residential areas. And the Swiss Alps Energy campaign offers accommodation in the Alps. Swiss Alps Mining & Energy offers mining enterprises in unused renewable energy buildings in the Swiss Alps. 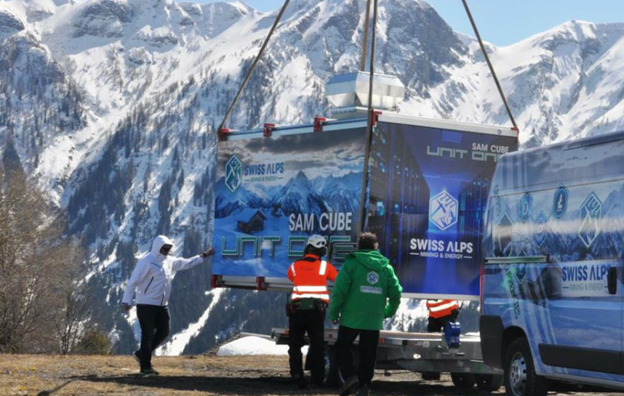 Actually, the Swiss Alps Energy campaign itself is a distributed energy carrier and operator of modular mining infrastructures that are designed for long-term stationary use under certain conditions. The SAM platform will provide your wallet that will support the existing cryptocurrency, and which provides simple withdrawal and purchase of tokens. The owners of SAM tokens can also use any wallet that supports the ETH - ERC20 contract. Wallet also offers the purchase of SAM coins with digital currencies such as BTC and ETH. Clients can communicate with the platform via the Internet, work platform and cell phones. They can deposit their SAM coins at the SAE stage for renting extractive power. 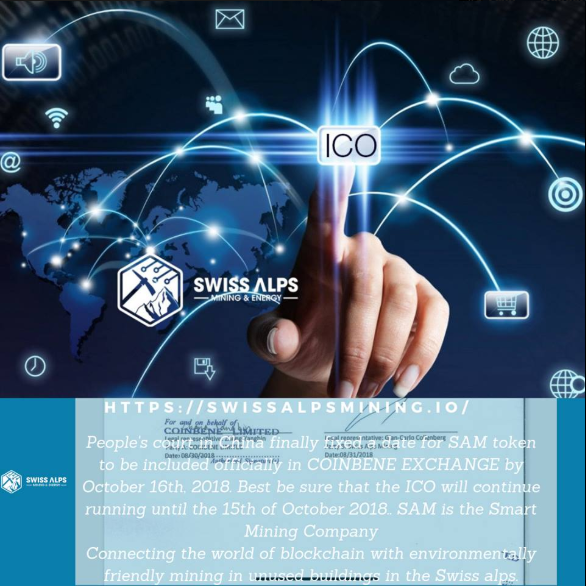 Swiss Alps Mining & Energy is a unique opportunity to combine climatic conditions in the Swiss Alps, a large number of abandoned buildings in the area and innovative mining technologies to achieve high efficiency of design equipment. The only obstacle to the implementation of the project is the lack of funds to create a large number of mining equipment itself. To achieve its goals, the development team conducts ICO, in order to attract investors for the development of the platform and its further promotion. Token Sale will last until October 29, 2018, so hurry to take part in it. The project team conducts the initial placement of tokens - SAM. They will be used for internal operations within the platform. 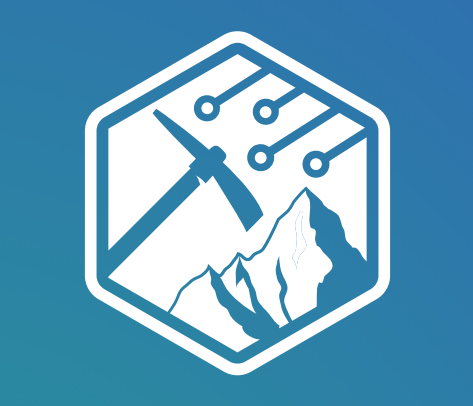 Swiss Alps Energy will use the ERC20 markers generated by the smart contract on the ETH blockchain. The advantage of the Ethereum blockchain over the traditional way is that it is very fast, not expensive, and is very well provided with many other functions. This will ensure that the way rewards are distributed in the Internet traffic market is equal, without deceiving anyone, because intermediaries are removed from the road. This is, of course, good news. As a result, we can say that the platform promises to provide reliability combined with a rich set of functions! 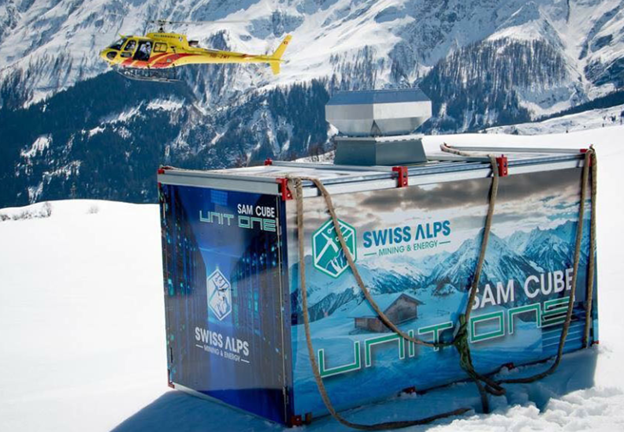 The project Swiss Alps Energy is a new word in the field of cloud development, as it has indefinite contracts, and its coins have material security. In other words, project developers care about the revenue and security of their clients. Join Swiss Alps Energy. Follow the news on the official information channels. And I was glad to help you today.